Leafy greens factor into most every day of the week in our kitchen, whether they get plated in the form of a salad, chopped and tossed into a soup, or whirred up into a morning smoothie. And it seems that regardless of what form they take, fruit is often part of the mix. Even in soups and smoothies! Think Butternut Squash Soup with apples or pears as a sweetening component, for example. And most any in-season fruit is the absolute trick to sweetening up (and loving) green smoothies. When it comes to salads, that whole savory-sweet component works as well. Right now, pears are kind of my go-to. There are a whole heap of varieties available so I’m happy to grab whatever looks good... though the firmer varieties will hold up nicer in a plated salad where you want to showcase the fruit just a bit more. Thinking of a plated salad that might look beautiful for a holiday dinner (or any dinner, really), I selected Stemilt’s d’Anjou pears. 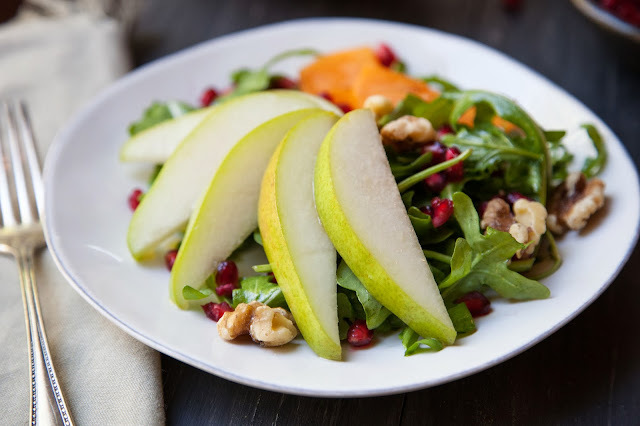 Cut and fanned out over a bed of lightly dressed arugula greens, these delicious, juicy and subtly sweet pears take center stage in a colorful plating… particularly attuned to the season. 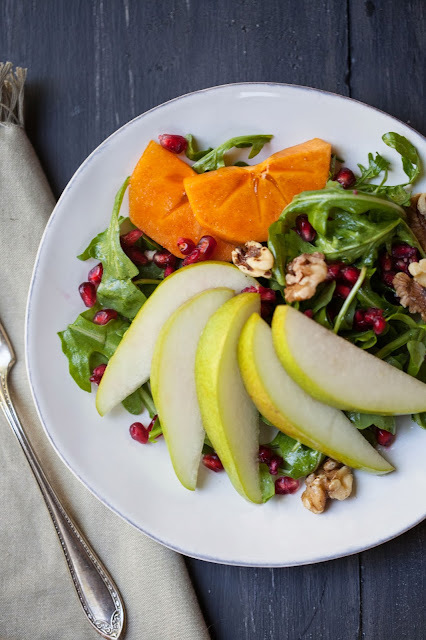 Both in color and flavor, these pears “pair” well with a bright pop of pumpkin-hued persimmon and a sprinkle of fresh, ruby-red pomegranate seeds and toasty walnuts. 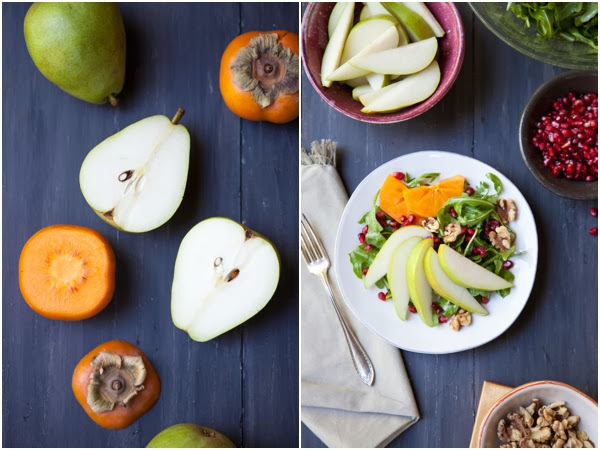 Pear, Persimmon and Pomegranate Salad is a particular pleasing plating! For recipe details, click over to The Stem.